This is sooo wrong. Panic! 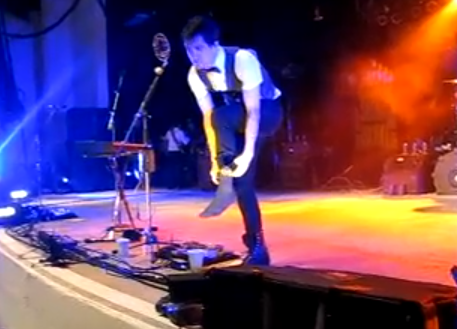 At The Disco front man Brendon Urie broke his left ankle this weekend while performing in Florida. The break happened when he was climbing back on stage after going into the audience. The dude is tough as nails though…. he finished the show! He’s okay now…. the ankle has be doctored and should heal nicely. But STILL…… OUCH!! !